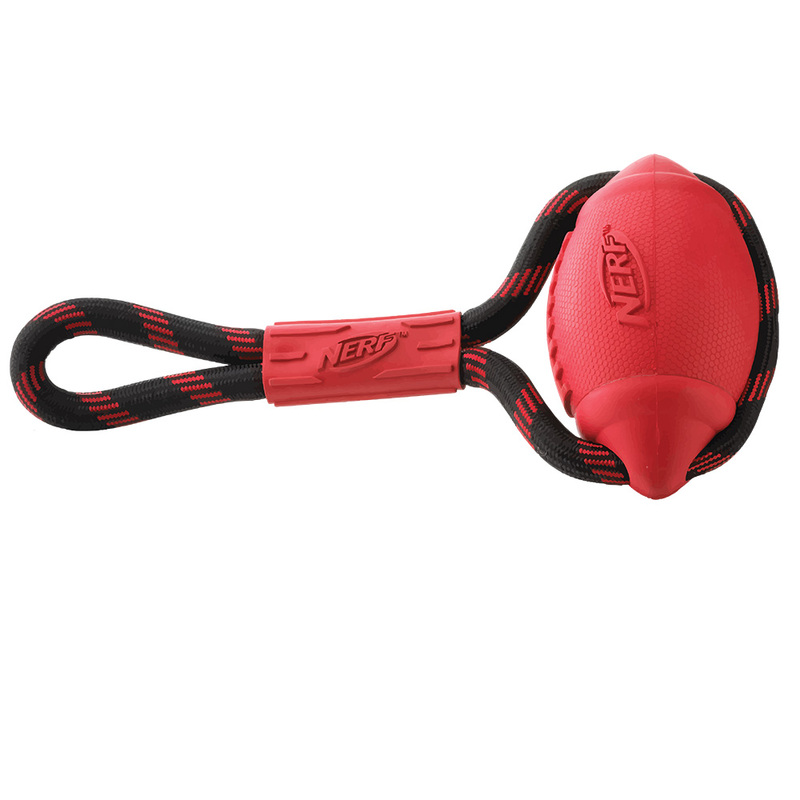 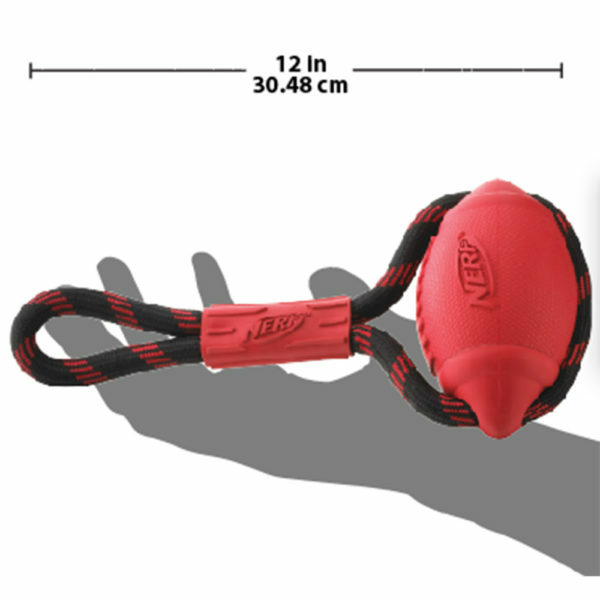 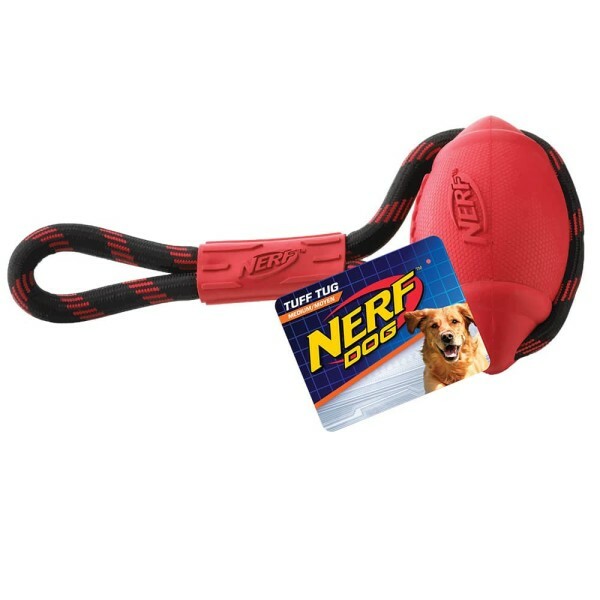 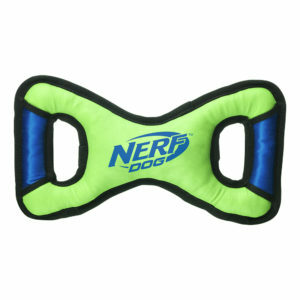 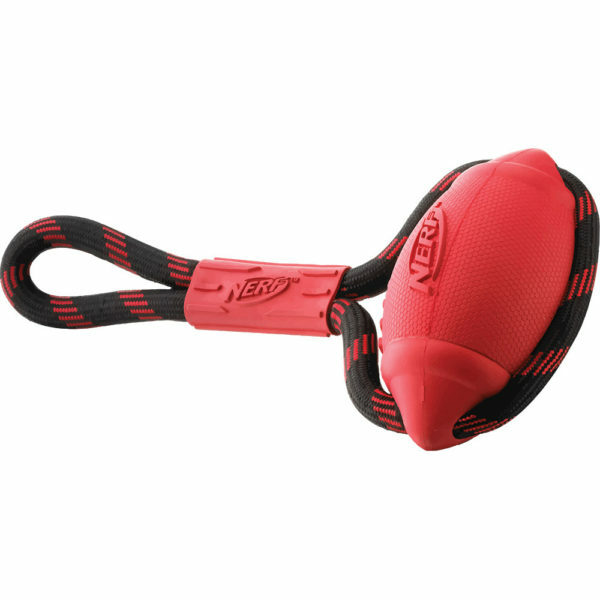 The NERF DOG 12″ medium Infinity Tug Football will entertain you and your dog for hours on end. Play ‘tug of war’ with your best friend. The elastic handle is separated from the football to prevent accidental nips. 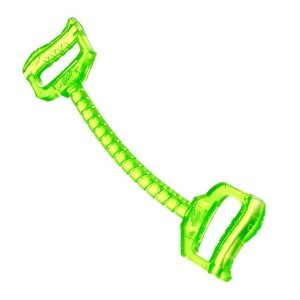 That’s high-performance durability from NERF DOG.